August 29th (optional), 30th and September 2nd, 2009. Pay by cheque, Visa or Mastercard. Live the life of a sports photographer! This workshop is aimed at intermediate or advanced photographers. You will learn first hand the challenges and fun of shooting fast paced action as horses and riders thunder past! Imagine the challenge of photographing a fast paced field match! We will have the opportunity to cover apolo match an hour from Ottawa. 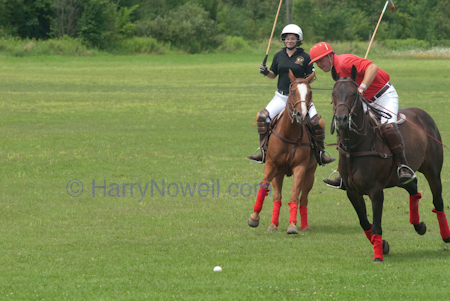 Polo is a game requiring fast reactions, agility and endurance. 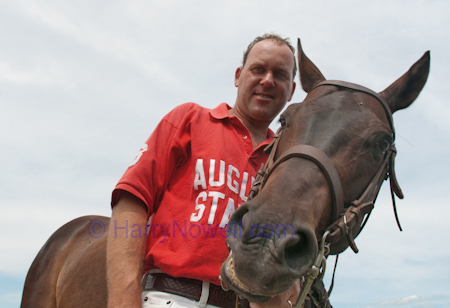 Photographing polo requires similar traits! Photo participants will get the chance to shoot from areas reserved for media. Learn new skills! Experience working under the pressure of a big event. Pro gear Enjoy the opportunity of accessing some pro gear thanks to an arrangement with the rental department at Ottawa's Vistek camera store. Special rental rates on select rental gear are available to students registered on this course. Check Vistek's rental department for your special photo needs. Find our more about course details. "Is this a digital or film course?" It is a photography course - about creating better pictures. The emphasis is on your skills behind the camera and your ability to effectively use the camera you have. Many participants bring digital cameras. Many choose film. Some bring both! Having people with both technologies on a course helps to compare the differences. Do not worry about your equipment - all you need is a 35mm SLR camera and lens(es) - no "point and shoot" cameras please.